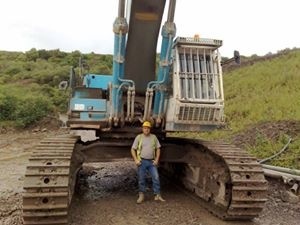 My working life today plant operating! From the age of about 10 I was very fortunate to be able to help out on a local farm, the farm milked 100 mixed herd,plus about 30 saddleback pigs, hens and geese, the farming family consisted of two brothers and family. The farm was part of a big 8000 acre estate consisting of dozens of farms mostly dairy as it would of been in the 60s in Somerset,obviously it was on a tennantcy basis and the family were 2nd generation farmers, I was treated like part of the family and would have meals in the farmhouse throughout the summer months, my interest in farming and the lifestyle was cast at that time and I quickly excelled in all aspects of the work, I was never fully involved with the milking the two brothers milked 7 days a week and I can never remember any time when either of them never milked! There love and care for there herd was plain to see the animals were always priority over everything! And each cow calf and heifer was given a name it took me several years to know all of the family of animals by name but each individual had there own distinct markings and mannerisms and for sure at milking time the odd one or two you had to be weary of in the parlour as they were renown for kicking at any given opportunity, and it would break your arm unless you took steps to keep her occupied mainly extra cow cake rations!! The winter months were as busy as the summer because it was shorter days and consisted of bedding down straw in covered yard no cubicles then!? 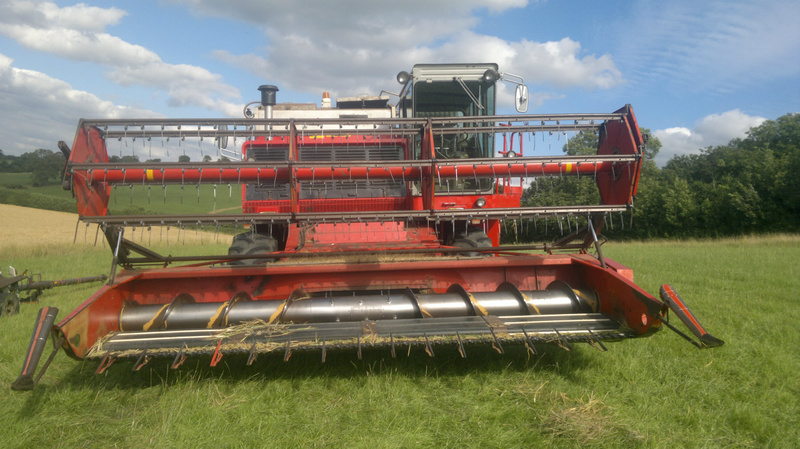 Also feeding in racks if animals were in or if weather favourable fed outside in fields with silage, this would be cut out of clamp with a silage knife by hand and loaded onto short sided Massey trailer with five prong forks by hand! Two load a day which was forked off into heaps in field and you preyed that it didn't snow overnight!! As you would have to repeat the exercise twice the next day!also the yards would be scraped daily and pushed into the slurry pit. All our slurry was deposited into a pit and loaded away at that time with our mill loader and Howard rotaspreader which was eventually replaced by a vicon hippo slurry tanker, which was a fortnightly job regardless of the weather situation, no nitrate zones to consider then. Without doubt the sixties was an exciting time the music, flower power!! And the almost breathtakingly speed of change in farming mechanization, it seemed there was new bigger tractors every edition of power farming!! the red giants! 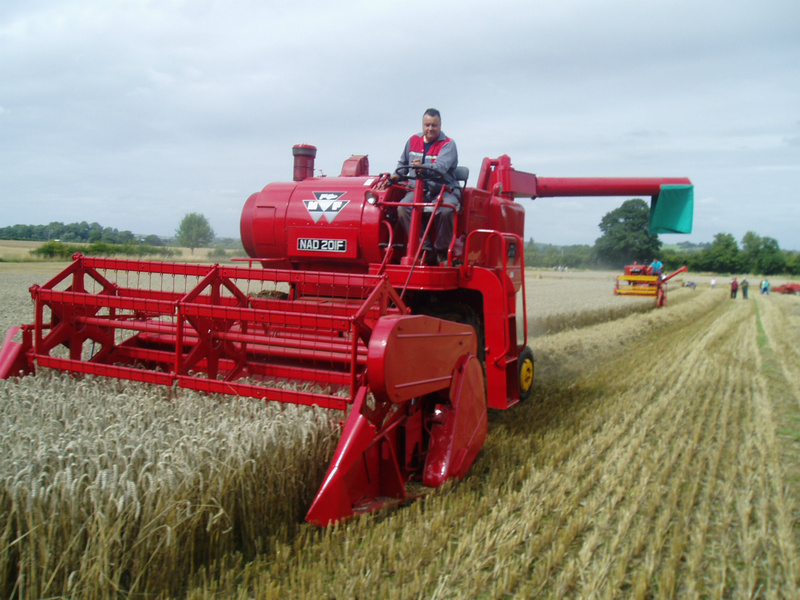 Bigger implements and the dawn of new crop varietys and minimum tillage, and of course Massey Ferguson seemed at that time to be riding a crest of a giant wave that looked impossible to stop!!. My job was also to feed the calves and heifers, the calves would be taken from there mothers after a couple of days weaned off there milk and fed a powder milk supplement which I recall smelled lovely when mixed with warm water!!. As well as the cows we grew about 40 acres of corn 12/13 acres of winter barley and the rest winter wheat, very rarely did we grow spring crops, during the spring we would fertilize with a compound and nitrogen and spread it with a lister wheel drive broadcaster and the spraying was carried out using a Dorman sprayer all very basic by today's standard but it done the job and very well, you would make your own tramlines and make dam sure they were right!! As it would be very difficult to cover up extra wheelmarks in the growing crop, but to be honest I had a good teacher who would take the time to explain every aspect of what would be required to do any job and I looked up to him as he was in my eyes then, someone who could do anything. The corn would be drilled with a very old Massey Harris drill which had iron wheels and two manual levers which would be pulled down to lift coulters, by normally myself riding on back ,at the headland whilst turning back into another run and then pushed back up to engage coulters, it would be several years before I would be using the drill probably when I was 13/14 but eventually I would carry this task out as well and I would endeavour to keep straight and leave no gaps and not overdrill, your work would be plain to see in a very short time!! For sure. Our spring and summer would consist of hay and silage in equal measures unlike now, standard size bales no big bales at this time!! No bale wrap!! Just a strong arm and a pitchfork and a B45 baler and plenty of labour! !the bales would be hauled back to farm and stacked into dutch barn using a lister bale elevator, it seems most farms had one of these. We would also grow kale, and oats and vechies? I think that's how you spell it ? 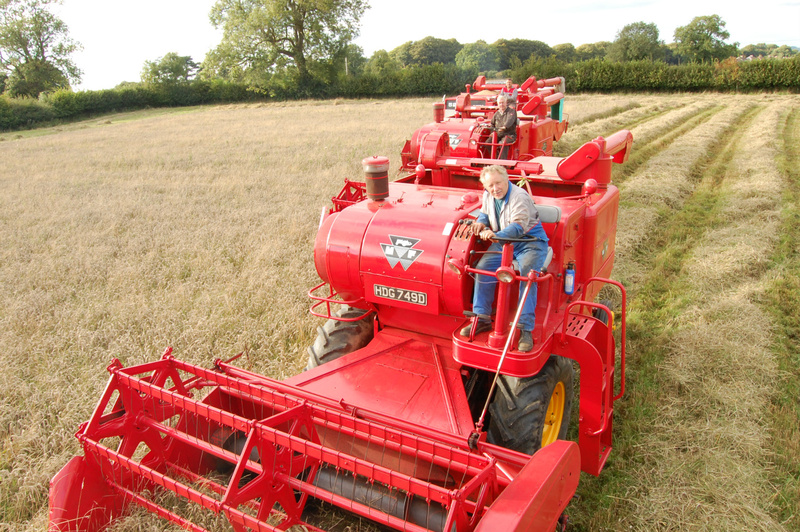 ?for fodder we always used an outside clamp and pushed the grass up with a buckrake not a push off model?this would normally incur someone forking around the grass to keep the clamp level and even,also squaring up the sides. During late August early September the crops would be nearing ripening our neighbour would always be first in the field with his 780 bagger, we were fortunate to use a neighbour who farmed and also contracted out his 2 Massey combines, mf 500s we would use either of the operators Colin and Ted who were well experienced having to harvest nearly 1000 acres annually, I would look forward to running the 4 1/2 ton trailers and spending whatever time I could on the combine covering there lunchbreaks if I was lucky, the machines looked so big then the smell of harvest the heat dust ,and sound of the combine moving through the crop, the soothing sound of the 6cylinder Perkins engine ,all of this comes flooding back to me as if it was yesterday, obviously the weather played a big part in farming life as it does now this is something man has little influence in, but the capacity of clearing acreage today is something of an ace card at least. As the 1970s approached the time came to leave school and take up a full time position as was expected and i couldn't wait,although there were dark clouds on the horizon for the farm and i will explain this in detail later. There are so many incidents that I can remember now, ruined hay crops, barn fires,laid corn crops,injured animals,still born calves,the list is endless and then you factor in you are living on the job and its a 24 hour a day duty,you often hear that saying you never see a poor farmer!! Well todays depressing headlines paint a very bleak picture indeed! !over 60 dairy farms went out of business in 2014! It's likely that figure will double in 2015, the dairy industry in the uk as we have known it is finished,and the general opinion of many is the future will mean super herds 1000/2000 cows in a twilight world of massive sheds and never setting foot upon a blade of grass just fed and milked robotically!unfortunately its not only the dairy industry in crisis!farming is and has always been difficult,perhaps there was a simpler answer to all these problems just perhaps what farming needed was some stronger bussines lead leadership not a goverment or retail sponsored mouthpiece!! That didn't have the very best interest of its members at heart ,what a crying shame,and for them who are still involved in farming, they have my utmost respect. I can well remember 1971 harvest and the arrival of the latest model from Massey the 525 with a detachable 12 ft cut table and trailer, this model was so very different cosmetically to the 500 but under the tin work apart from the multi flow it looked pretty much as other Massey set ups to be fair the operator had nothing but praise for the machine and said he quickly learned how to adapt to using the multi flow, he would spend a couple of hours every morning checking and adjusting all the belts to the optimum tensions,this all seems very obvious but it was amazing how very few combine owners bothered to keep there machine in a ready to go condition, and blaming the machine for problems in use that were more associated with lack of maintenance!!. preventing downtime later in the day and a passion for the job which sometimes today you just don't see! I guess not everybody is suited to this job. I can very well remember hauling the corn down to kilmersdon with the 135 which meant negotiating a 1/10 hill that had no run off and was followed by a sharp right hand corner!! By the time you had reached the bottom you were stood up on the brakes that were long since faded off and with the unbraked overloaded trailer, i well remember being somewhat aprehensive most trips to the corn store!!. After the harvest the stubble would be burned using a few tyres stuffed with straw and soaked with diesel and chained to the rear of one of our tractors, this was a job I looked forward to! Although it could be risky as if there was any wind it was possible for the fire to overtake you or cut you off from leaving field!! So you certainly needed your wits about you! !,after the stubble was burned a pass with the Howard rotivator would follow and following a day on this you would be completely black with soot! As there was no cabs at that time for us. Our neighbours burnt a lot of there wheat straw every year I can remember watching it at night burning it was amazing that there wasn't more accidents with this process only an occasional burnt hedge!! But for sure you wouldn't get a cleaner sterile ground to crop again. I can remember my first ploughing lesson with our 35x and 3 furrow fergy plough, the boss spent a whole day with me showing me how to mark out the headland, also striking out for the first section of ploughing how to measure correctly setting the discs etc.. Etc..it was a lot to take in as a youngster but i absolutely Loved the job and still do, i well remember after finnishing my first 13 acre field the following morning the boss said we need to return to field with several bags to pick up the many dead rabbits that had run across the plough ground that night breaking there necks!!? With a smile on his face he said youre not going to win competitions yet but its ok for youre first attempt!! I took it as a compliment especially. From him!! 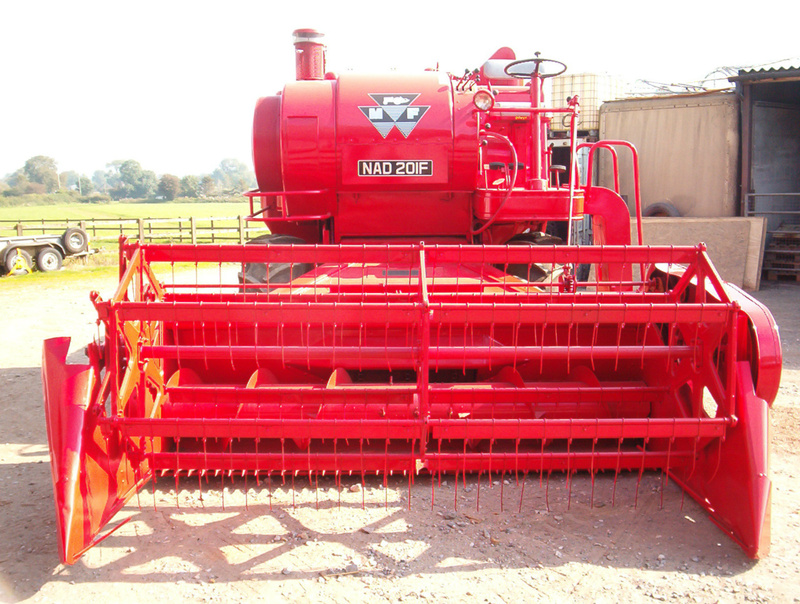 Our tractors at this time consisted of a 1969 135 pyd 989f. 35x syc 677 also a grey 35 with mill loader no reg!! And a Austin Gypsy! Followed by a series 1 land rover lbl 141! Don't ask me why I remember the registration numbers!? They are just etched on my mind as I spent a lot of time on them. During my first year of working on the farm full time we were to have a drastic change in current machinery, out went the 35 and loader also the 135 and they were replaced with two new internationals a 574 hydrostatic and a 454 syncromesh, I personally feel the 574 was my favourite tractor of this period! It was extremely noisey but for ploughing baling and forage harvesting the infinite ground speed settings made these jobs a breeze, these Internationals in my opinion never fully got the recognition they rightfully deserved!, also it was very satisfying to finally have a cab and a good one at that not like the plastic substitutes that companies like Lambourn and the sirroco clad Massey sold. 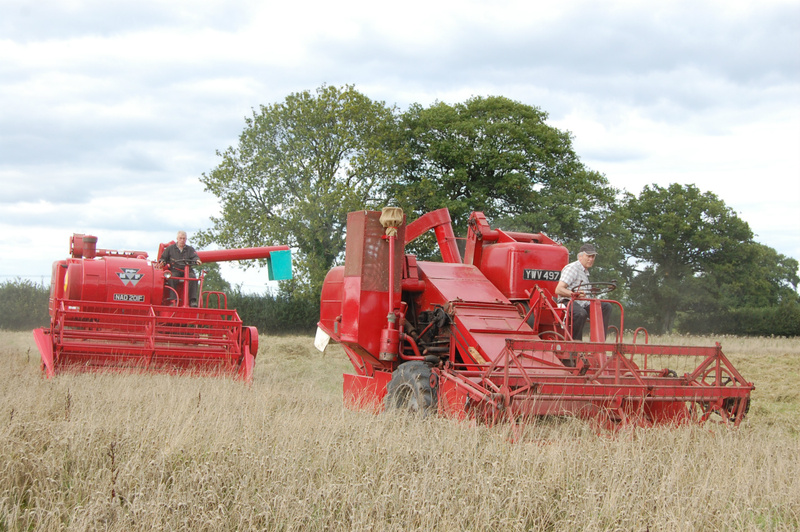 As my first year progressed the farm was hit with the news that as we had feared the acreage would be cut by a quarter! As the construction of a sprawling Business park offices and warehouses would now start the following year! I couldn't believe that this beautiful countryside would be destroyed under concrete and tarmac, and little did I know then that several years later I myself would be hiring out machinery of my own to carry out work of this nature ! ?But at that time the boss explained to me what you need to remember Colin although this will affect the farm, when this estate is built it will give several thousand people jobs! Currently that land only supports about five of us !? Well I suppose it's the sensible approach and attidute I would of come to expect from him. As well as names for the animals all of the fields had names also, on the odd occasion now I visit this estate on business and I can see the fields before me ! 40 years on 1st waterside 2nd waterside, middle ground, milking strip,clover ground, quarry ground, top bodkins, bottom bodkins, prattens,and 13 acre, names that are still etched on my mind after all these years! Just nostalgia i guess!!. After some very serious consideration I decided after a year I would leave the farm I felt bad at this decision and was worried about telling the pair of them but they knew I was going to tell them before I even opened my mouth, they said they couldn't offer any long term prospects for me and I should grasp any prospects that came my way! And this is what I did I entered the world of Agricultural contracting!! ?more about these experiences in the future. Despite all of what the modern world offers today to youngsters i doubt very much that the happiness and experiences i came to enjoy at waterside farm would be found on a computer keyboard! And i somehow think that is a great shame, but i think the younger generation are somewhat wiser to the world than we were then so its probably not a bad thing. During my early years at the farm, I remember a local timber company came to farm to winch timber out from a valley that had been felled, the trees were very large elms and they used two Fordson High Majors fitted with winches to haul out the timber,both winches doubled up winching in unison, unfortunately one winch stopped unexpectedly putting all the load onto one winch which resulted in the tractor being pulled back over crushing the operator who sadly died from his injuries! It brought home to me at an early age that any equipment can be lethal no matter how much experience you have, and complacency should never be entertained. If there is one single experience I can remember that taught me the virtue of staying calm in a crisis! came early one Saturday morning whilst feeding the calves and the milking was in full swing, a phone call from a neighbouring farmer stating that several heifers had broken in to a field possibly overnight, the field contained a late spring crop of wheat, Guy immediately instructed me to get into the land rover and we drove the half mile to the field, on arrival we could see three animals two were lead down and one on her knees! We ran to the first animal it was lead motionless stomach bloated and eyes glazed, Guy said come on boy there's nothing we can do for her! The second heifer was bloated badly and in great distress, Guy very calmly told me to go to the hedgeline and get a couple of pea shooters! (Cow parsley)!a command I thought very strange!? But on returning to the animal I would witness Guy delicately cutting a small hole in the stomach of the fallen animal, the escaping gas was unbelievable! He took the hollowed pea shooter tube scraped of the outer skin and carefully inserted it into the hole in the stomach to keep it open allowing him time to attend the other animal who by now had rolled onto its side,! as a young man witnessing this I was amazed at the calm way guy spoke and carried out this task although I shouldn't of been I guess, he looked at me and said quietly, go back to the farm boy tell them to ring the vet and come back with some Iodine and clean cloth! !.for the wounds. On my return to the field the animals were still lead down but the last one treated was trying to gain her feet gradually, within twenty minutes the vet arrived and injected both animals, thankfully they both survived! But sadly Gillan could not be saved, the build up of gas in there stomachs because of these animals insatiable appetites for lush green fodder can result in death very quickly! Without doubt this was a day to remember for me, a lesson learned that anything can happen and very quickly and a cool calm head would be required to deal with any situation, keeping livestock is a very big responsibility and a costly one when things go wrong! as sometimes happens. On my final day at Waterside farm I shook hands with Jim and Guy, and they said don't forget us here boy! Well rest assured I didn't forget them nearly every thing I have strived to achieve in my life was in some way attributed to there friendship ,wisdom, and confidence that was passed onto this shy young man many moons ago! !.for that i am etternally gratefull for! God bless you both. Howard Coles putting his 1958 780 special to work, followed by Hillary Pugsley driving My 1966 400. Welcome to my website of our collection of classic combines, my interest in these giants of yesteryear started when i was a young man after watching a mf 780 bagger working near my home in the sixties, the machine just looked so big then, i have spent my working career owning and operating all types of interesting machinery but driving the combines every summer is a job i really look forward to and feel lucky i have the opportunity to do so. 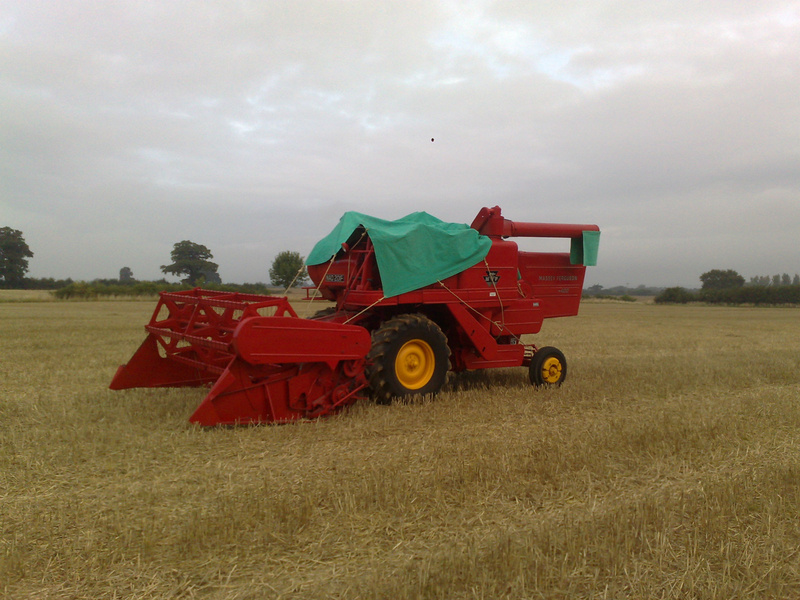 I restored my first combine in 2007 a mf 400 1966 in very good condition one owner the machine was destined for the scrap man ! !but instead was restored to cut another day the restoration took about a year. 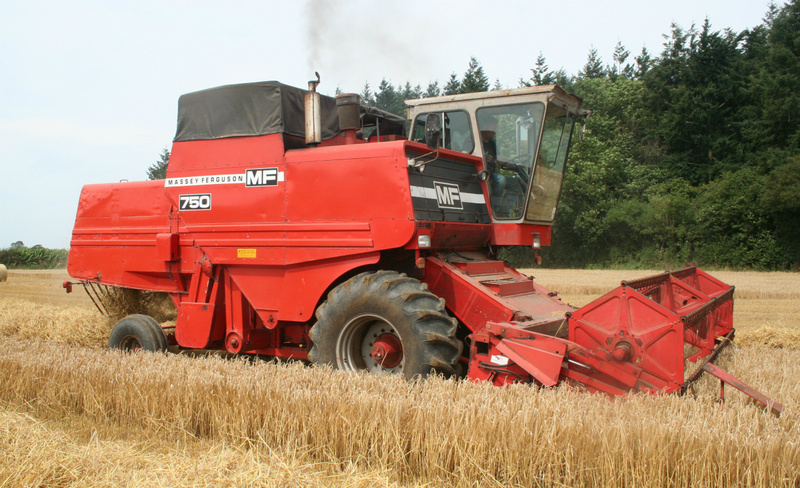 The second combine purchased came from a seed company in surrey where it cut trial crops and done very little and was in exceptional condition it is a mf 1978 525 super 11 purchased in 2009. 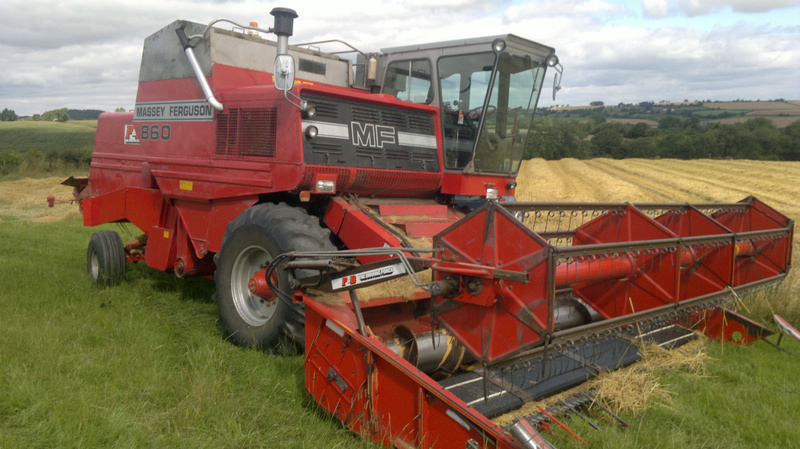 The third combine in my collection is a mf 860 canadian built 1985 model one of the very few 860s now,purchased and co owned with Hillary Pugsley, it came from a farm in lincolnshire, the combine has worked in that area from new. Ihope you enjoy the forthcoming photos and future stories that will be added in the future thank you Colin Cloude. Please Note this Website is still currently under construction!! More to come. I grew up helping out on a local farm spent all my spare time there got well use to handling machinery at an early age, I spent several years agricultural contracting and then started up c e cloude plant hire owning and operating all types of machinery and still trade under my name today, also we take on a little contract combining every summer. My family tree consists of farming families way back to the 1700s also gamekeepers. 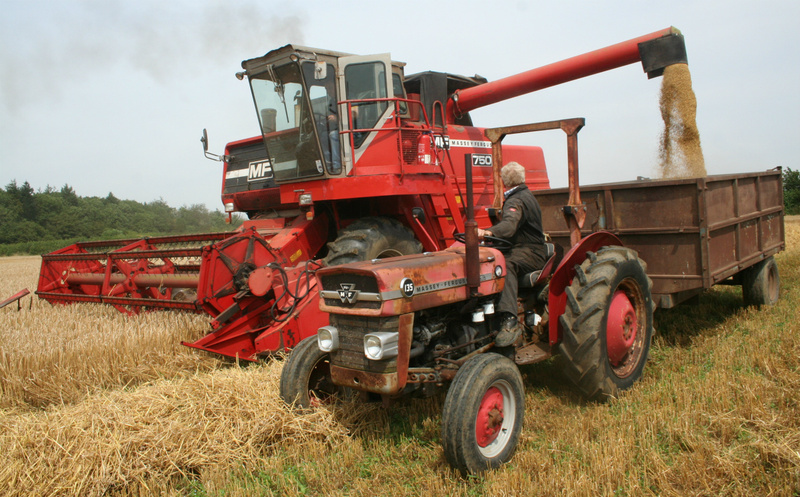 Hillary had many years working on local farms and working for agricultural dealerships as a mechanic and machinery delivery driver, he has a varied collection of tractors and machinery and is currently a lorry driver. 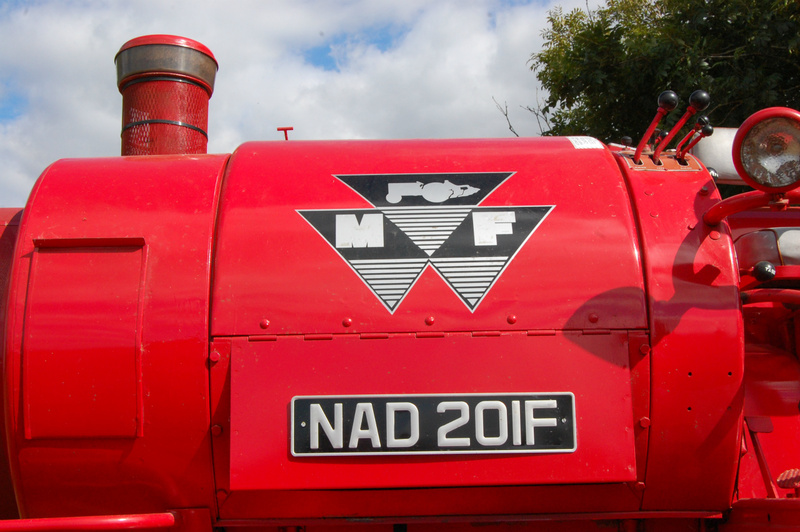 Howard is a retired businessman and engineer and has an interest in Massey Ferguson equipment, his family had extensive farming background, he also works tirelessly for the local community. 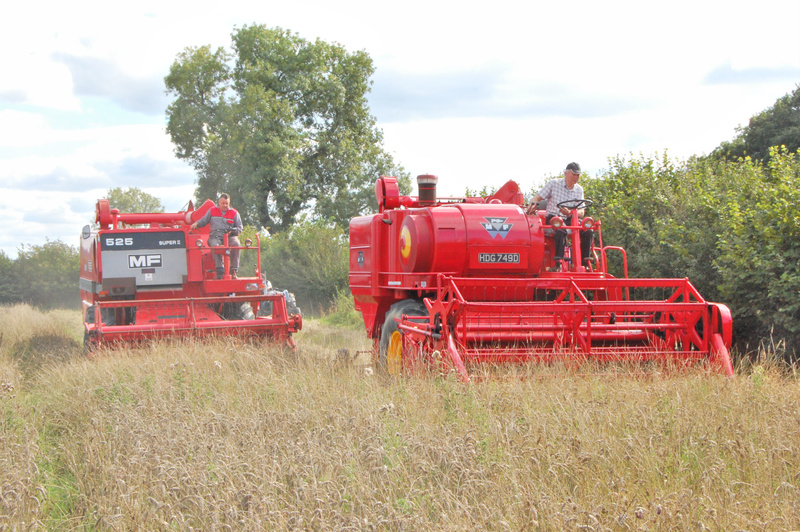 Can I say a huge thank you to Rory Day and Scott Lambert from magazines Classic Tractor, Classic Massey, and Tractor & Machinery for featuring these combines in there magazines. Also the following reporters/photographers who have made it possible to create this site by using some of their photographs. A big thank you from the team here. 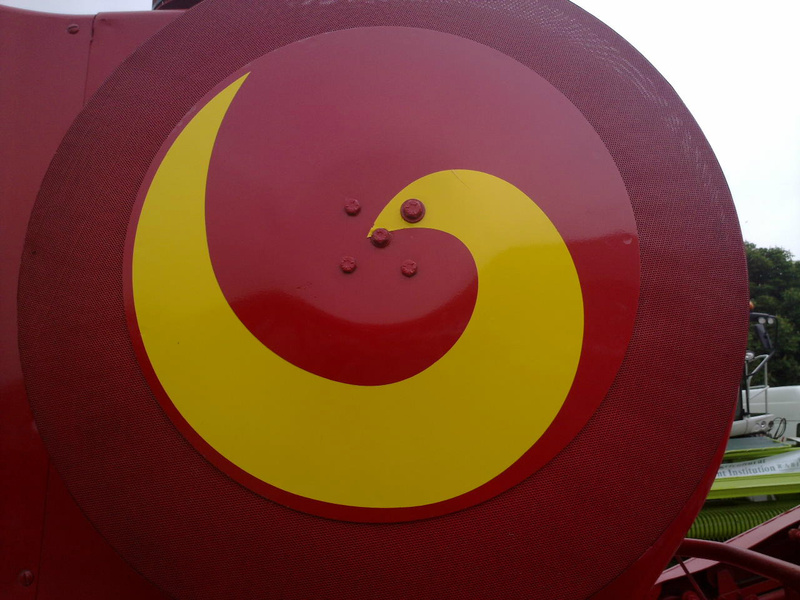 The iconic yellowswirl, this warning swirl marker was adourned to massey combines for 3 decades it was a warning of a rotating screen, this fine mesh rotating screen helped to keep the dust and chaff clear from the radiator, this swirl is still currently used on modern day jet engines air intakes. Our latest edition to the collection, 1987 registered 860 fitted with 16ft power flow table purchased 2013 from lincolnshire, this combine we know was the second one to be built on the Brantford production line in January 1985 also we have only just found out that this was the very last 860 sold in the uk in 1987!! 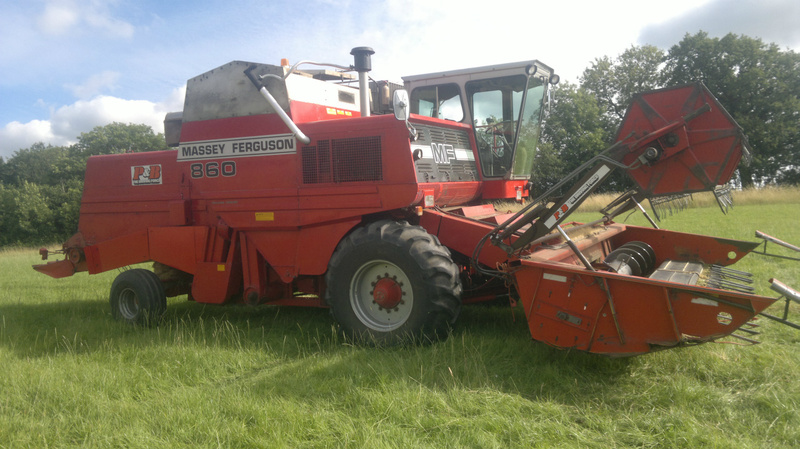 it is an 85 series machine it currently cuts about 100 acres a year, so it is in retirement now !! More details on this machine Will follow. Awaiting its second time around ! !